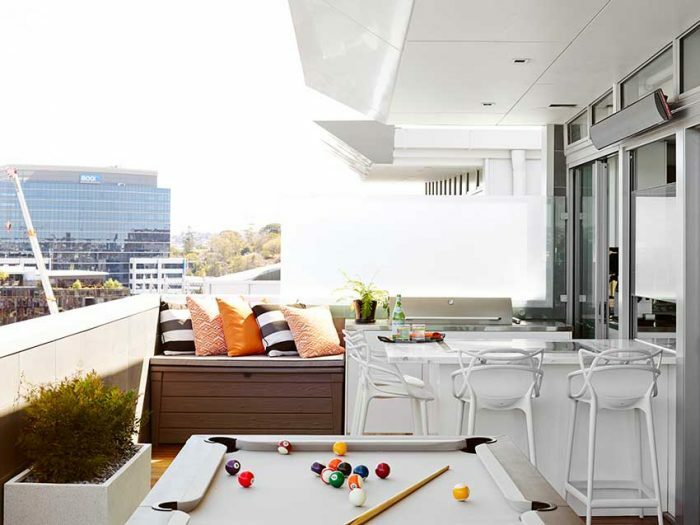 A cocktail of contemporary sophistication, balanced with easy family living and laid-back entertaining, this Teneriffe penthouse, at the end of a long day, is a refreshing tonic with a twist of zest. 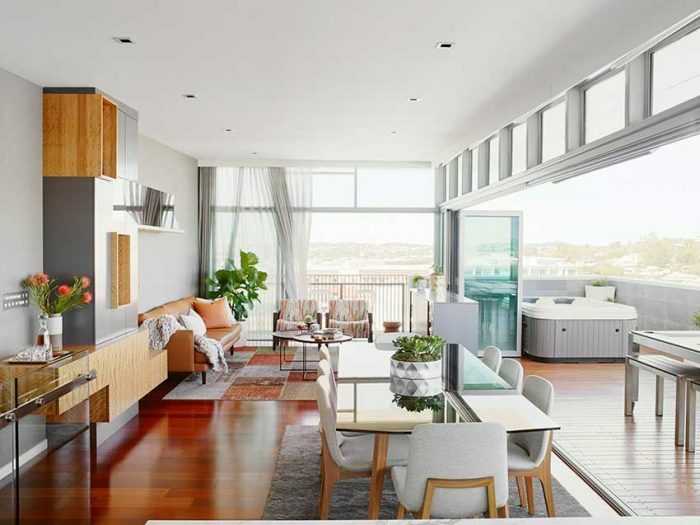 “It was a fairly open brief, it just had to be completely different to what it looked like before, and look fabulous,” laughs Rebecca Reiken, Design Consultant with Anju Designs. Rebecca and her mother, Penny Middlemiss, are the creative duo behind Anju Designs. 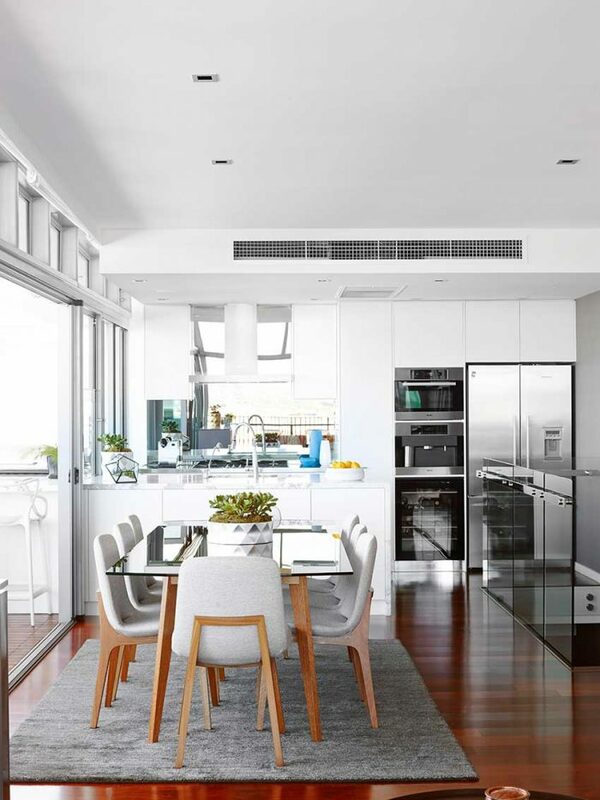 Established in 2010, the Brisbane based designers have a passion for creating elegant and eye-catching interiors that blend traditional class with contemporary design. With a design brief to create a contemporary, but sophisticated family home, Rebecca and Penny set about injecting colour and personality into the space to create a beautiful environment for Jim, Daliah and their children Kyah (5), and Ethan (4). 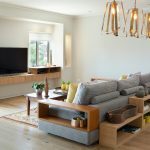 “They wanted their home to have a fresh vibe that would reflect their young family yet still feel sophisticated,” Penny explains. Jim and Daliah love to entertain, so the main focus of the project was to create an entertainers’ paradise, whilst keeping in mind that they have two young children so everything had to be hard wearing and easy to maintain. Inspired by the spectacular views looking out over the Story Bridge, the city skyline, Bowen Hills, Newstead and back to Teneriffe; the team at Anju Designs cleverly blurred the lines, seamlessly blending the interior areas of the lounge, dining and kitchen with the balcony outside. Outdoors, making the most of the balcony space, Anju Designs sourced a functional outdoor dining table that can transform into a pool table. “There’s additional bench seating and cushions to perch on, bar stools around the BBQ and teppanyaki grill area and lots of plants to soften the look,” says Penny. Indoors, a mirror kitchen splashback brings the outside in, reflecting the spectacular views and cleverly complementing the mirrored cabinetry in the living area. Continuity between inside and out is also evident in the colour scheme. 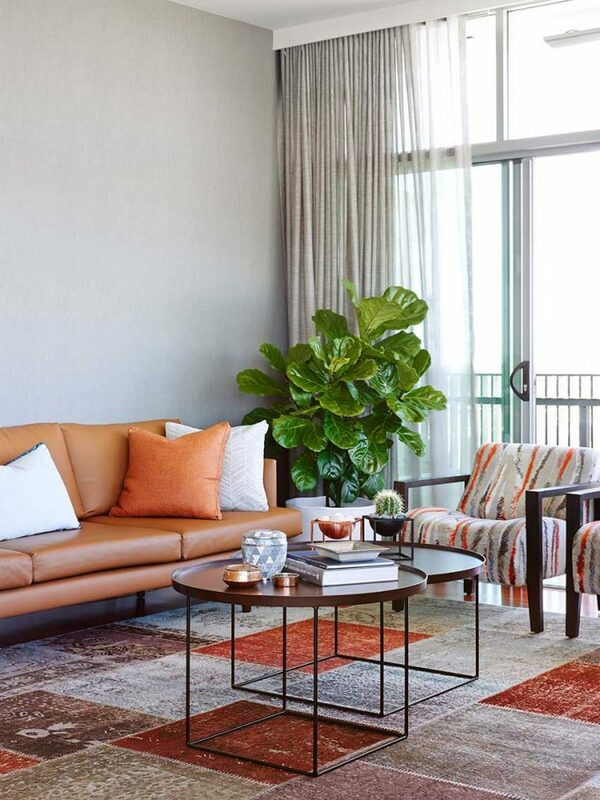 “Daliah loves orange, and we wanted to bring a lot of warmth into the home. So to balance the natural timber floor, we decided to work predominantly with a tan and grey based colour palette.” Plants used throughout the spaces create an organic continuity from interior to exterior living. 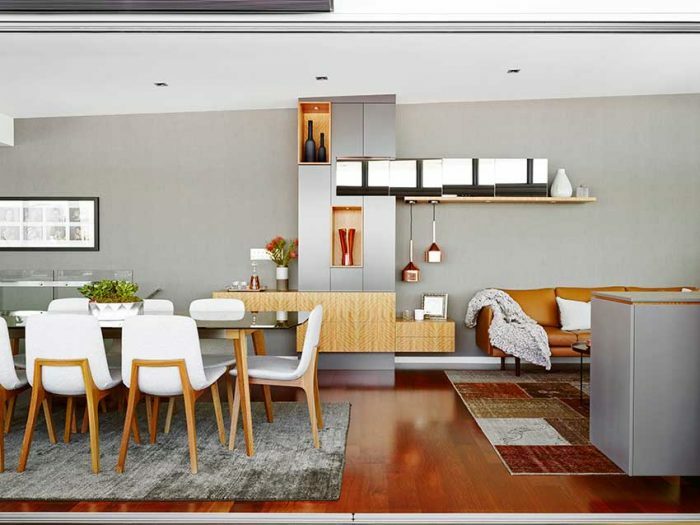 “Once the bi-fold doors are opened up across the entire front side of the apartment it really does feel like one big space, perfect for hosting friends and family for dinner or a party,” says Rebecca. Storage space is always in high demand, especially in an apartment and especially for a family of four. One of Jim and Daliah’s must-haves in the design brief was more storage. “With more than half the wall space of the upper living level as glass bi-fold doors, opportunities for storage space were limited, so we had to be creative,” explains Rebecca. With the additional outdoor seating, the kitchen bench seating area had become superfluous and so was converted to smart storage space by enclosing the front side of the bench with cabinets. 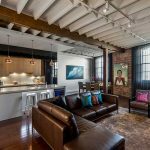 Additional storage and style was created along the central interior wall. 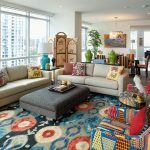 “We designed the feature wall unit to incorporate more storage and create a hero piece in the living room,” says Penny. 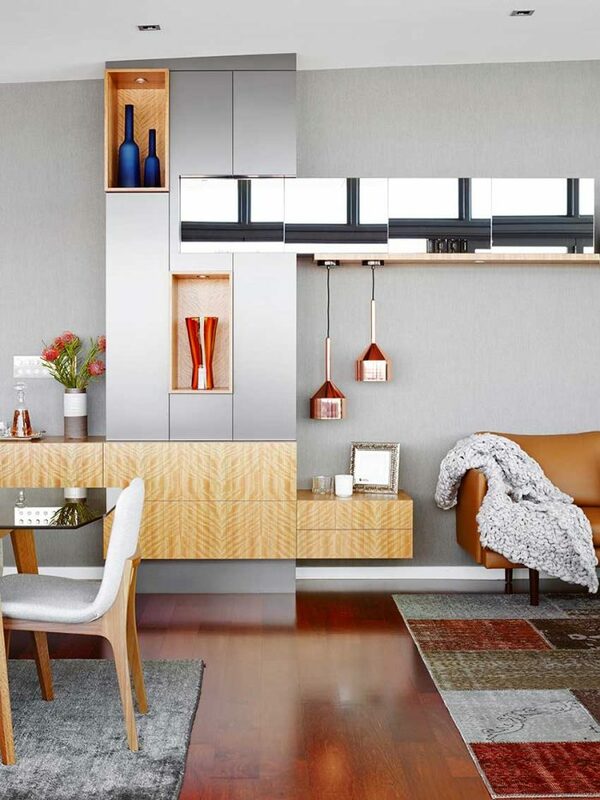 Creating interest and warmth with layers and textures, the wall unit features a combination of timber veneer, mirrors and smooth gloss cabinetry and is adorned with earthy ceramics and luxe copper pendant lighting. The effect is all at once exciting, interesting and organic. 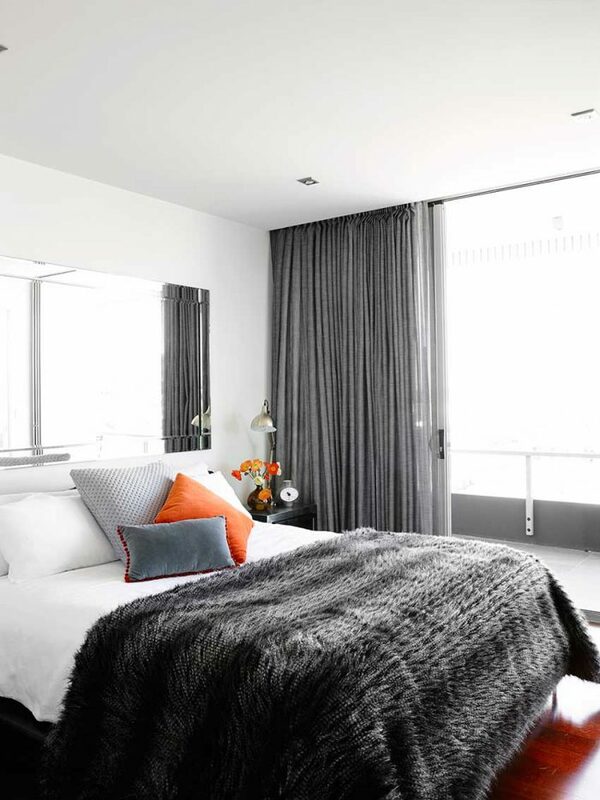 Soothing, subtly textured, grey wallpaper anchors the space and the room is finished with beautiful soft sheers. Balancing the wall unit in a fusion of intrigue and comfort, a bespoke rug, made up of pieced samples of vintage Persian rugs, creates the foundation for this space. 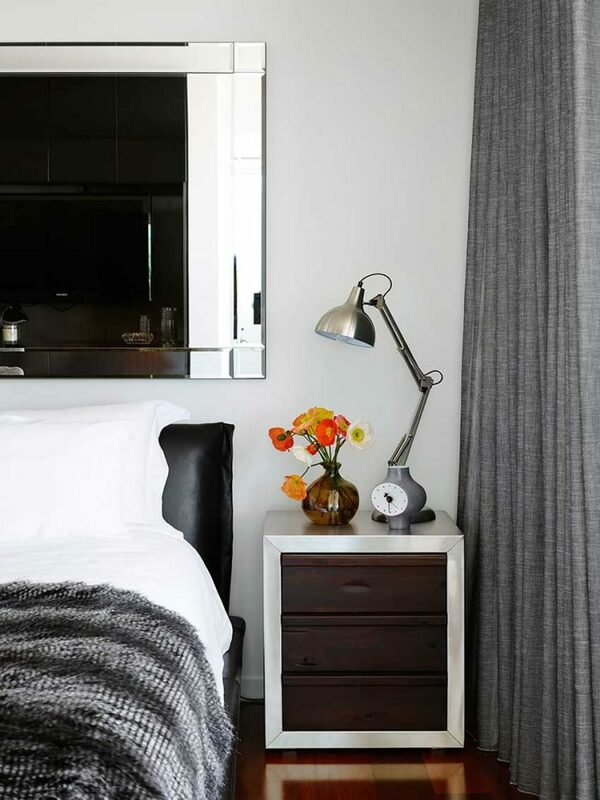 With an air of casual sophistication, the master bedroom stays right on brief. Classical and restrained, yet comforting and alluring, the zing in this room is achieved with the incredibly soft and luxurious custom-made throw, providing glamour and warmth. ‘Sophistication’ and ‘young family’ initially present as design briefs that can never share a common space. 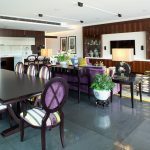 Yet Anju Designs achieve in this apartment a casual sophistication, through clever innovation and quality materials, that embraces the everyday rigours of family life and opens itself up to effortless entertaining. A family nest with zest.